Mark Roberts is doing a series on the seven last words of Jesus recorded by the four Gospel writers. See here. How Could I Have Missed Sweater Day? "God wept and waited for Easter"
All of these things [Christ] endured, for us. He was crucified for my sins. He bled for my iniquity. The guilt and shame of my disobedience to God was laid heavily on his head. He was an innocent man burdened, crushed beneath a heap of wrongs that belonged to me, you, all of us. Before Easter can come, the awful price of our disobedience against God must be paid in full. And Jesus paid it, willingly. As his blood ran down that wooden cross, he gasped for his last breath and said, "It is finished. Father, I entrust my spirit into your hands." His lifeless body was lovingly carried to a rock tomb where he was hastily bound in linen and burial spices and closed in behind a huge stone. Guards were posted to keep the body from being disturbed. And God wept and waited for Easter. Read Pastor Jeff's thoughts here. "The important thing is being remembered not by others, but by God"
Q-and-A: Why Do We Call It 'Good' Friday? This question was posed to me by an inquisitive second-grader a few weeks ago. The question makes sense. The day we commemorate as Good Friday brought multiple tragedies. Good Friday, which this year falls on March 21, is when Christians all over the world remember the day when Jesus of Nazareth, the One we believe was the Messiah (the Christ, God's Anointed King of kings) was crucified. The day we call Good Friday then, wasn't only tragic because the sinless God and Savior of the world died a horrible death, thoiugh. It was also tragic because a human race in need of salvation, rejected God's outstretched hand, spurned the love of God, turned away from God Himself. At least that's what the study cited here says. So does Jesus. On this Maundy Thursday, I want to talk with you about four gifts from God: an example, a Savior, a command, and a power. But first, a story to explain why we need these gifts. On a Tuesday last spring, I was in a hurry to get back to my office and get some work done. Yet I was stuck in checkout line 4 at our local Kroger. I wondered if there really was a worldwide conspiracy designed to keep me from doing what I wanted to get done. Just then a clerk popped his head out from between two unused check out lines. “You can check out on three now,” he announced. A woman who’d just happened by when the clerk appeared, quickly slid into line 3 and I pushed my cart in behind her. Bags stowed in my van, cart put into its corral, engine on, I briefly considered trying to find the woman to say, “I’m so sorry that I pushed ahead of you like that. I didn’t intend to.” But I realized that would have been a lie. Whether I actually had pushed ahead of her or not, the fact is that I had intended to push ahead of whoever was in my way. I had been in a hurry and I thought the world owed me. You and I are born with the condition of sin, a condition of alienation from God that predisposes us in big ways and small to push ourselves ahead of others, at the expense of others. To worship ourselves. To put our desires ahead of God’s will for human beings. To leave God and neighbor in the dust. It’s sin that makes our world such a mess. It's sin that messes up our individual lives. In first century Judea, you know, washing the feet of another person was generally only done either by servants or by a loved one anointing the body of a deceased family member. (And sometimes, as a liturgical action in Jewish worship.) It wasn’t done by a king. Or an important person. But God-in-the-flesh, Jesus, doesn’t care about usual human conventions. He breaks our rules in order to break us free from the grip that sin and death have over us. He breaks our rules in order to break the kingdom of heaven open to us. This day is called Maundy Thursday, the word maundy coming to us from the Latin word mandatum, meaning mandate or command. That’s because after washing the disciples’ feet, Jesus gave a new command to all who make up His Church. That's the third gift Jesus gave on Maundy Thursday. Sometimes, in explaining to Catechism students what happens in Holy Communion, I mention that old saying, “You are what you eat.” Eat lots of fatty or sugar-filled foods and you end up looking like I do around the middle. You are what you eat. 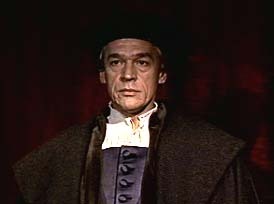 The speaker was British actor Paul Scofield, who died today. He posed the question in response to queries as to why he didn't want to be knighted, gaining the privilege of being called, "Sir." In spite of being in a very public profession, Scofield felt no need to be a public personality, a celebrity. Scofield's decision for ordinariness, in spite of his extraordinary talent, is a bit damning, however unintentionally, of those marginally talented celebrities with which the tabloids become so obsessed these days. It also damns those more talented persons who, once their sizzling fame has abated, can't be content with simply continuing to do work, instead spending millions to tell us that they're still around and still talented. Scofield's stance reminds us that there is a difference between success, on the one hand, and prominence, on the other. Scofield was a successful actor who received an Academy Award for his incredible performance as Thomas More in A Man for All Seasons. Yet he never became a celebrity. His example might well be heeded beyond the field of entertainment. Politics, for example. Gore Vidal, a curmdudgeon whose inventive, if destructive, violations of historical fact have sometimes angered me, is often cited as having said, "Any American who is prepared to run for president should automatically, by definition, be disqualified from ever doing so." Vidal's point, of course, is that if anyone has that peculiar combination of megalomania and gnawing insecurity necessary to say, "I want to be President," they probably aren't well-suited for the office. I'm inclined to agree. And these months of watching the 2008 nominating races, in processes that combine elements of a new car show and WWF bouts, complete with the inauthenticity of both, have heightened my inclination to agree even more. Of course, the Christian world view to which I subscribe is nothing if not realistic. Christian anthropology derived from the Bible is unflinchingly honest about human beings. Nobody is perfect and it would be silly to expect perfection in our political leaders. But what's bothersome is that, in their desire--their need?--for prominence, pols will often portray themselves as something like perfect and their opponents as something considerably less. I only hope that the desire for titles, vindication, and power isn't so great as to cloud the judgment of the chief remaining candidates. I hope that they don't believe the nearly-messianic ways in which they portray themselves and their candidacies. On the day before he announced his candidacy for president in the 1988 race, Massachusetts governor Michael Dukakis visited a prominent presidential historian over lunch. The historian had known every US president from Franklin Roosevelt to Ronald Reagan. What, Dukakis asked him just before leaving, did all those presidents have in common? The historian thought for a moment, then said, "They were all very strange." It may be a bit more than we have a right to hope for that our next president won't be strange, driven by the desire for titles, accolades, and Air Force One, nor inflated by a weirdly outsized sense of self-importance. But if those characteristics can be mitigated by a smidgen of both humility and an appreciation of their inherent worthiness as human beings apart from accomplishments or honors, that may be okay. I might also suggest that they spend some time studying Paul Scofield's approach to his work and to the alluring demon of prominence. See here. Rare is the stage actor, accustomed to the broader characterizations necessary for their venue, who is able to turn in first-rate film performances. Yet Scofield's portrayal of Sir Thomas More in A Man for All Seasons is among the greatest screen acting I've ever seen. The character Scofield played in Robert Redford's 1999 film, Quiz Show, could, in the hands of lesser actors, have devolved into that of a shallow moralist. But Scofield managed to portray both rectitude and sympathy, a loving, if demanding, father who was repelled by the dishonesty he saw in his son even while trying to save him from himself. His screen appearances were few. Scofield preferred the stage. But each movie performance was memorable without being overbearing. If anything, Scofield underacted. The lectionary gives us a choice between Matthew's or John's account of the first Easter, the day on which Jesus rose from the dead. I'm choosing Matthew's account. Verse-by-Verse Comments: 1After the sabbath, as the first day of the week was dawning, Mary Magdalene and the other Mary went to see the tomb. (1) The Jewish Sabbath ran and runs from sundown on Friday to sundown on Saturday. Just as Sunday was dawning, we're told that two of Jesus' followers go to Jesus' tomb. (2) Of course, even lackadaisical readers notice that the details given by Matthew differ from what we find in the other three Gospels. Some might be disturbed by the differences and deem them reason for dismissing Jesus' resurrection. One woman or a group of women or just two? Did they go to anoint Jesus' body or, as Matthew says, simply "to see the tomb." Frankly, I take the differences in the accounts to be an indication that the assertion that Jesus rose from the dead is absolutely true. It means that there was no "conspiracy" hatched to ensure that everybody told the story in exactly the same way. Instead, as some commentators suggest, we may have the echoes of the kinds of claims all witnesses of events, great and small, engage in: "I saw Him first...," "She saw Him first...," "It was like this..."
The bottom line is that Jesus' first followers staked their lives and good standing on a proclamation that nobody--including them--was inclined to believe: that Jesus, once dead, rose from death. (1) Matthew is the Gospel writer always anxious to show that the events surrounding God's intervention in human history has cosmic manifestations. It's Matthew who tells us, for example, that when Jesus was born, a star announced the event and led wise men from the East to the house in which the infant Savior was by then living in Bethlehem. 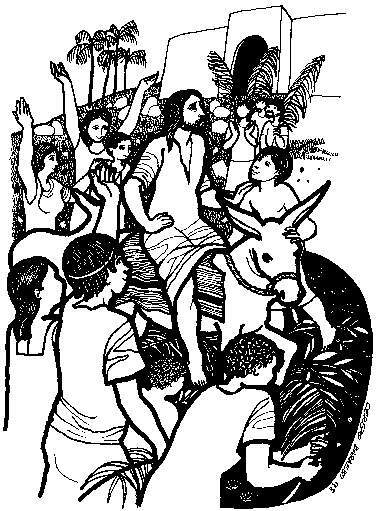 In last Sunday's Gospel lesson, Matthew's account of Palm Sunday, we're told that Jesus' entry into Jerusalem brought "turmoil" (Matthew 21:10). The word rendered as turmoil in that text is the word for earthquake, appearing at the crucifixion (Matthew 27:51) and here (Matthew 28:2). (My mentor and professor, Pastor Bruce Schein, spoke of "cosmic convulsions" relative to Matthew's account of what happened at the moment of Jesus' death on the cross.) Jesus is more than a milquetoast in a bath robe and His life, death, and resurrection are defining moments in the history of the universe, marked by tremors. (1) The word angel, of course, means messenger. This visage of this messenger from heaven, like Jesus at the mount of Transfiguration, reflects the glory of God. 4For fear of him the guards shook and became like dead men. 5But the angel said to the women, “Do not be afraid; I know that you are looking for Jesus who was crucified. (1) The guards were plenty afraid. But the angel assures the women that they needn't be. Angels often greet people in this way, a sure indication that something about them would make even the most stouthearted a bit fearful. (1) "Come...then go..." Every week, we Christians invite others to experience the risen Jesus by worshiping with us. Then, Christ commissions us all to go into the world to tell others how Jesus changes those who believe in Him from God's enemies into God's friends. (2) Jesus, the angel says, "is going ahead of you to Galilee." Dead men don't run. But Jesus, the risen Lord, is running ahead of the disciples. He's doing that still. Our call is to follow. 8So they left the tomb quickly with fear and great joy, and ran to tell his disciples. (1) Their emotions weren't easy to define. They felt both "fear and great joy." But they weren't paralyzed by their emotions. They obeyed the message brought by the angel from heaven. 9Suddenly Jesus met them and said, “Greetings!” And they came to him, took hold of his feet, and worshiped him. (1) The angel's message seemed to indicate that Jesus wouldn't be seen by His followers until they'd gone to Galilee. Maybe the point here is that the old saying "seeing is believing" is all rot. The real truth is that "believing is seeing." The women trusted that this impossible news was true and so, they met the risen Jesus. (2) The phrase "took hold of his feet" is fraught with meaning. The risen Jesus wasn't some milky, ethereal "soul." He was risen flesh and bone, just as we who die trusting in the Savior, will one day rise again bodily. (3) They "worshiped him," an acknowledgement that Jesus was not just a man. He was (and is) God. Jesus would be guilty of the blasphemy with which He had been charged by the religious leaders if He accepted worship and wasn't really God. (2) There's forgiveness in Jesus' message. He calls those who had abandoned and denied Him His "brothers." Jesus builds His Church on people like these...people like me and you, imperfect, sinful, flawed, unstable. (3) One general point: Had the early Church made up the story of Jesus' resurrection and wanted it to be accepted in that culture, they certainly would not have admitted that women were the first ones to be told about it, or be the first ones to carry it to others. Jewish law specifically excluded the testimony of women, regarding females as completely unreliable witnesses. Not so, Jesus! The very fact that the Church proudly trumpeted the testimony of those their culture would have summarily dismissed is an indication that Jesus' resurrection is no myth, but a fact. It’s possible to know the words we say without knowing what we’re saying. The crowd that welcomed Jesus into Jerusalem on the first Palm Sunday said words that came from Psalm 118. “Hosanna [a word that means Save, please] Hosanna to the Son of David! Blessed is the One Who comes in the Name of the Lord! Hosanna in the highest!” They were the right words to use in welcoming the King of kings. But a few days later, this crowd would turn on Jesus, along with the rest of the world, and cry for Him to be executed on a cross. In the end, Jesus wasn’t what the crowd was looking for. I wonder sometimes if Jesus is what we’re looking for. The crowd that welcomed Jesus to Jerusalem on the first Palm Sunday saw Jesus as a means to their ends. They wanted Jesus to lead a rebellion against their Roman conquerors. They wanted some of the money that the extortionist tax collectors were constantly taking from them. They wanted Jesus to be their king, so long as that meant He took orders from them. But it’s doubtful, at that moment, that many of them wanted Jesus to go to a cross. After all, they would have reasoned, what good would Jesus’ dying do them? But it also can be hard to accept because it entails things we don't like: surrender, obedience, submission. It also means accepting that, just like everybody else, we're sinners in need of a Savior. A few days after Jesus arrived in Jerusalem, the crowds noticed that He hadn’t led an armed rebellion. He hadn’t taken over the government. He hadn’t done their bidding. Instead, He spent His time throwing moneychangers out of the temple, talking about prayer, arguing with the religious authorities, telling stories, talking about love of God and neighbor as the greatest commandment, teaching of the need to be ready for Him to return after He’d died and risen, and, most strangely of all maybe, He prayed, sometimes for hours at a time. This wasn’t the king they'd been looking for. No wonder then, that by the Thursday after the first Palm Sunday, the crowd was crying for Jesus’ execution. If we’re honest, Jesus may not be the king we’re looking for. But Palm Sunday convinces me that Jesus is the Savior we need. I’m convinced of that, first of all, because of the road Jesus took on Palm Sunday. It demonstrates that Jesus is committed to walking through the hardest places with us. As our Gospel lesson from Matthew begins, Jesus is walking on the road from Jericho to Jerusalem. This is the same road, different direction, on which Jesus set His fictional parable of the Good Samaritan. It was a road on which people were often subjected to violence and robbery. Thugs hid in the rocks and crags of the road. Jesus walked that road. But, as you know, that wasn’t the hardest road Jesus traveled with us and for us. In fact, as we've said, Jesus’ entire reason for coming to earth was to travel with us the road that each of us must take—the road from birth to death. A king like the one the crowd wanted--and that we may sometimes want: a king who skated above us, untouched by our failings and our difficulties, a king who gave us all we wanted without reshaping our characters into being more loving and more human, couldn’t help us when we’re confused or lost or lonely or grieving. But Jesus can! Like that woman, we learn that, in Jesus, the God of all creation can reach down into our everyday lives, even when we go through tough times. On Palm Sunday, Jesus also proved that He was the Savior we need by Who He chose to rely on. When I was in high school, I played hooky to see a President deliver a speech down at the State House. (It was Richard Nixon.) He was surrounded by a phalanx of Secret Service security, necessary to be sure. He also had Air Force One and his presidential limo and cars filled with assistants and the latest communication technology. Back on Air Force One, he had access to every comfort he could want. Wherever presidents go, they look like rulers of the world. 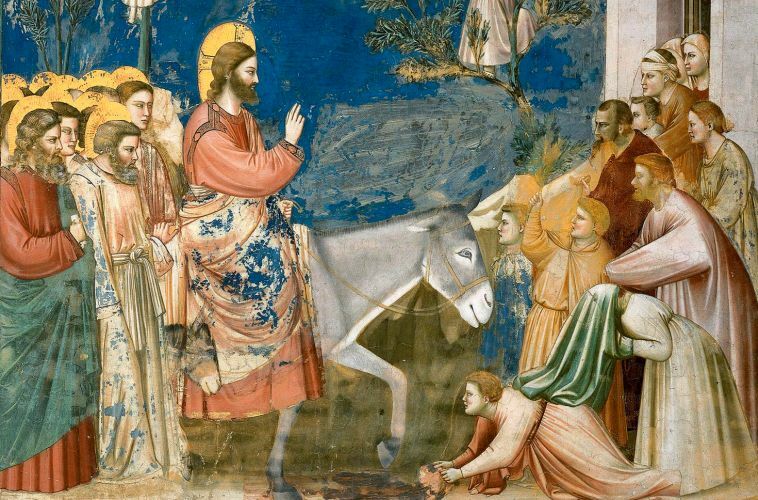 When Jesus arrived in Jerusalem on the first Palm Sunday, He didn’t look like a ruler. According to Matthew, Jesus rode a donkey, trailed by the colt of the donkey. In ancient times, the donkey was a symbol of humble domestic pursuits. Jesus had come into Jerusalem not with a sword, or a fourteen point Contract with Judea, or a retinue of public relations people, or a bevy of yes men. Jesus’ power didn’t and doesn’t depend on the dying stuff of this world. Jesus relied simply and completely on God the Father. Every king, president, great athlete, and pop star, no matter how exalted dies. Even Elvis has left the building, folks! Only one king has ever defeated death. It was Jesus and there's only one reason for His victory over death. 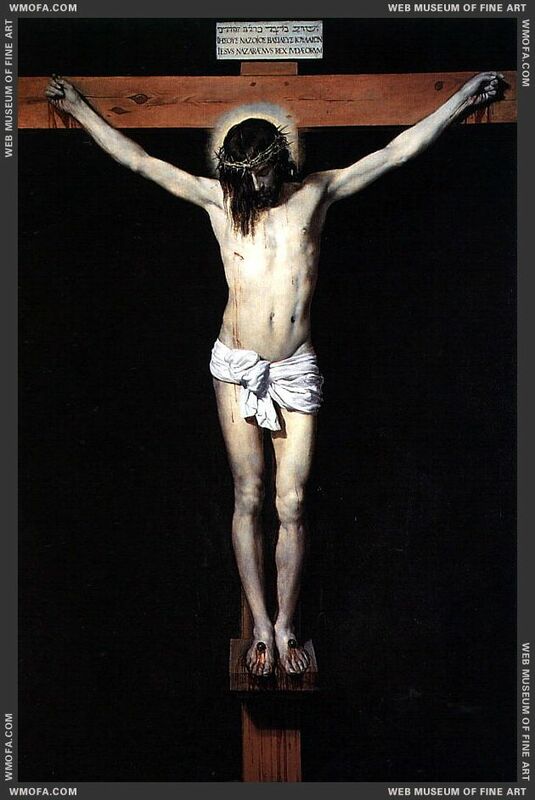 Even when He hung on the cross, the taunts of the fickle crowds ringing in His ear, the agonies of His wounds besetting Him, the horror of feeling abandoned by all haunting Him, Jesus depended only on God the Father. His resurrection is confirmation that surrender to God is the only path to new life.